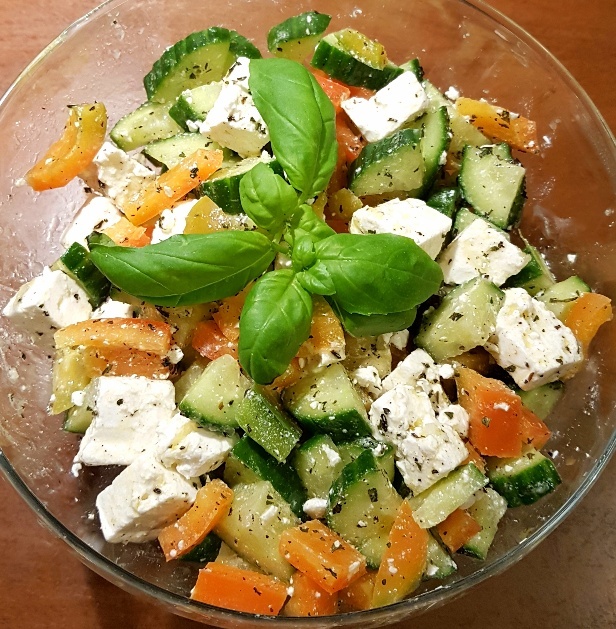 I’d say it’s fairly well known that I prefer my salads to be on the robust, substantial side, so it’ll not come as a surprise to you that this Cucumber and Mint Salad can be eaten either as a side dish to accompany a piece of grilled fish or chicken or on its own as a fresh lunch. 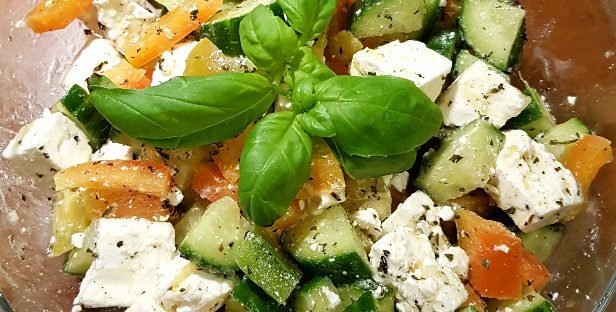 This Cucumber and Mint Salad in itself is very simple, comprising of just cucumber wedges, sliced bell pepper and cubes of salty feta cheese, but it’s elevated to something quite wonderful by the minty vinegarette it’s dressed in. 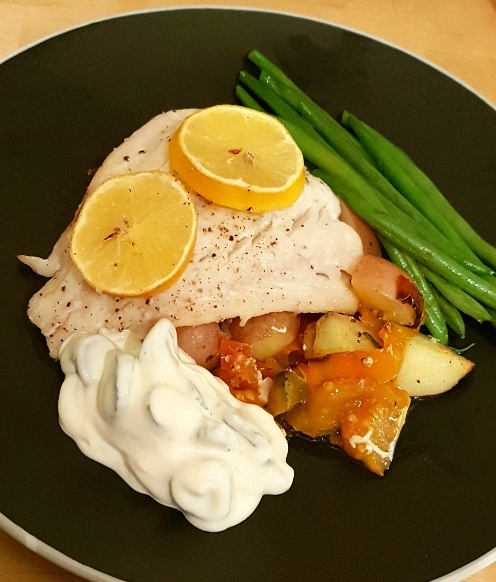 The standard vinegarette ingredients of white wine vinegar and olive oil are enhanced by the addition of dried mint and lime juice, creating a salad dressing which is tart, but herby at the same time. I’m not a big fan of salad dressings with a strong vinegar flavour, so I tend to make my vinegarette on the conservative side, but feel free to add more white wine vinegar or dried mint to yours, if you wish. I make this Cucumber and Mint Salad a great deal because it’s perfect on the side of a piece of grilled salmon or chicken breast, but it also satisfies my appetite as a packed lunch at work. It’s just a great all-rounder salad choice. Prepare the salad ingredients as directed and then place them in a large bowl. Mix all of the salad dressing ingredients together and then toss it through the salad and serve. The Fat Foodie Cookbooks are now available on Amazon Worldwide! 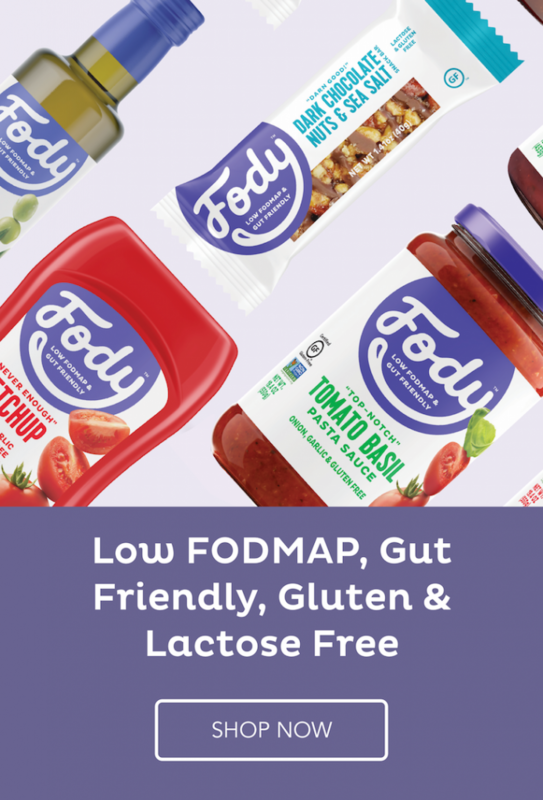 A while ago I was contacted by FODMarket to see if I would like to choose some of their low FODMAP products to taste test. 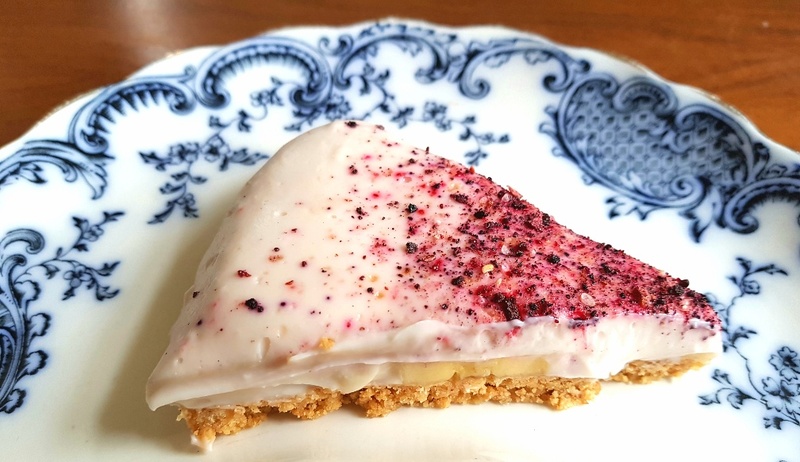 I jumped at the chance and one of the items I asked for was their gluten-free pizza base mix that’s made by Grass Roots Bakery. I made homemade pizzas last night using this pizza base mix and I’m not kidding, they were incredible! Even my pizza-loving, non-gluten-free eating step-son thought it was a ‘normal’ gluten pizza! 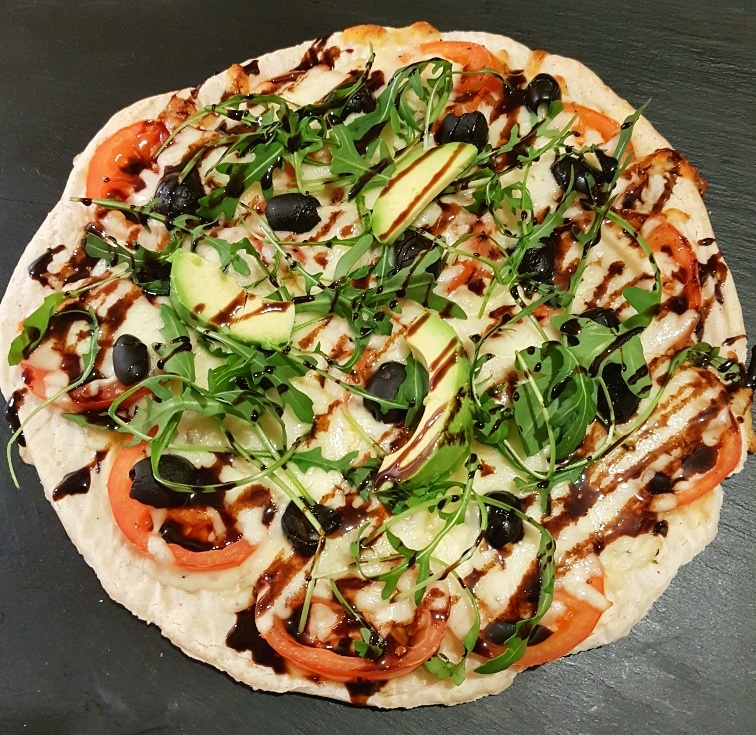 Although the taste of the pizza base dough itself is very nice and has the flavour of a standard pizza dough, I think its real strength lies in the texture of it because it manages to replicate the soft elasticity of gluten dough. This gives the pizza the real ‘chewy’ texture you expect from a quality dough and means that it doesn’t have the grainy texture that so many gluten-free pizza bases do. Hand on heart, this is without doubt the best gluten-free pizza base I’ve ever eaten (including my own homemade dough made with gluten-free flour). Since eating it my scientist brain has been wondering if it’s the blend of potato, tapioca and quinoa flour that makes it so light or whether they use more xanthan gum than I normally do, which would make it more pliable. Whatever the ratios, I’d pay good money to own the specific recipe they use! 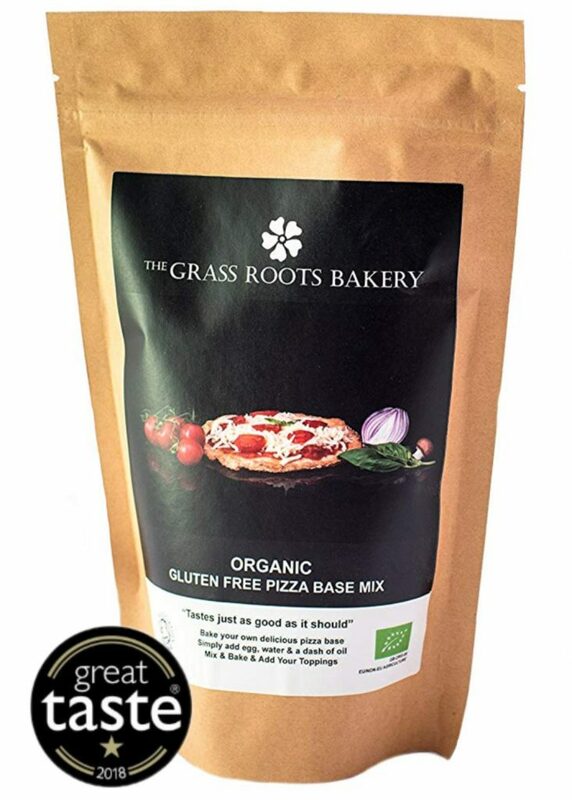 Speaking of money, at present the Grass Roots Bakery Gluten-Free Pizza mix costs £3.99 from FODMarket which in my eyes is an absolute steal because it makes six 6″ pizza bases or three 12″ bases. That’s good value in my book for such a good quality product! At the time of writing this review I’ve got the Grass Roots Bakery Gluten-Free White Bread Mix from FODMarket in my breadmaker and I’ll let you know my thoughts on it as soon as I can. I can’t wait to taste it! The Fat Foodie Cookbook is now available on Amazon!